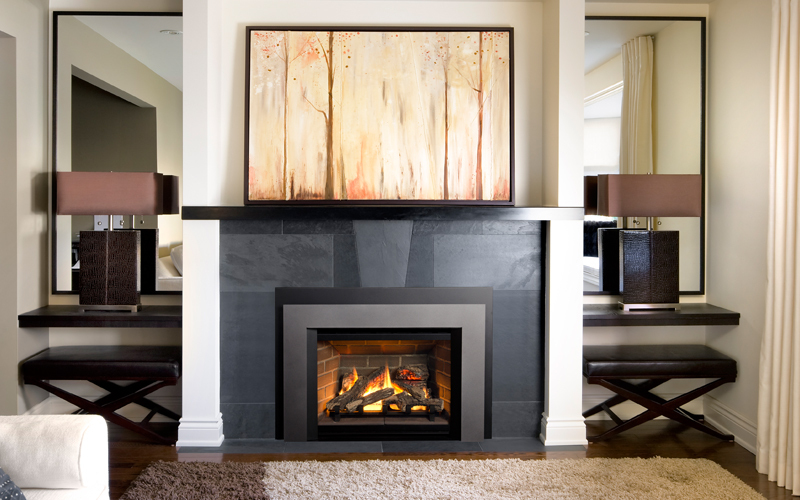 When you decorate your home, one of the first thing to go up on the wall is usually artwork and pictures! This not only adds a personal touch to the room you’re decorating, it also gives you a way to show off your true style. It can, however, be a difficult task to hang artwork as there are so many details to consider before putting anything on the wall! For example, the photo above shows how a small photo can make a big difference in the room. Having the picture perfectly centered above the Valor Legend G3 Inserthelps it stand out, while not taking away from the rest of the room. With a few tips and tricks on how to hang artwork, you’ll be hanging pictures like a pro in no time. Hardware: When it comes to deciding what tools and hardware will be necessary, you want to make sure it will safely secure your art to the wall. Instead of using a nail, most experts would suggest using a picture hanging hook. These hooks will hold the weight more evenly and unlike a nail will ensure your picture stays level and straight. Also, when hanging pictures heavier than 75 pounds, consider using multiple of these hooks for extra support. Visualize: One of the hardest things about hanging a picture, is visualizing how it’s going to look once it’s hanging on the wall. One easy and creative way to solve this problem, is to trace and cut out templates. Trace your artwork shape on paper and cut out a similar size. Once you have a template, use them to create a visualization of what your wall will look like with your art or pictures hanging. This also a great way to measure and center your art before making any holes in the wall! Eye Level: Last but certainly not least, one of the best tips from the pros is to keep all of your pictures and artwork at eye level. To ensure eye level hanging, try to keep your pictures between 60-75 inches from the ground to the picture. This rule applies to one single picture on the wall or several pictures in a grouping. If you’re unsure about hanging pictures on to the wall, you can always consider resting smaller photos and artwork. 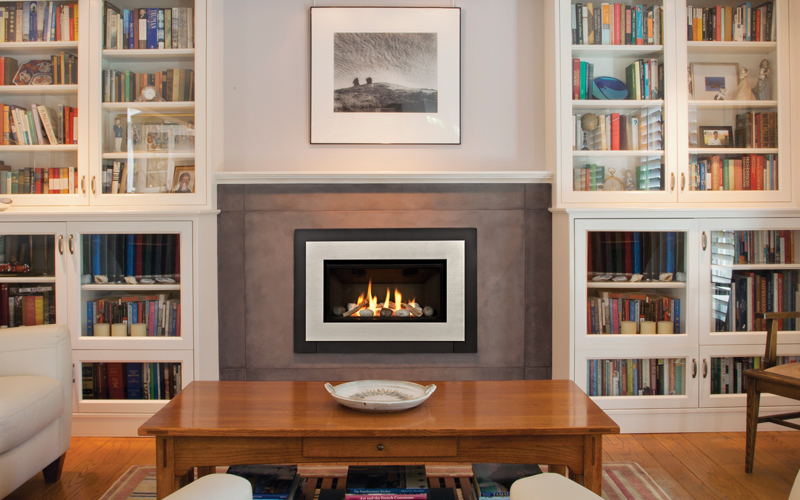 Shown in the picture below, beautiful artwork leans against the mantle of the Valor Legend G3.5 Insert. To secure the picture, you can use a plate rack to keep it sitting and stable. Do you have any tips regarding hanging artwork and pictures? Share those tips below!